Going from the south of the city to the north via two trains and a ferry to check in our bags, and then back to the centre all had to be done before 10am. We made it 10 minutes late - not too bad considering! 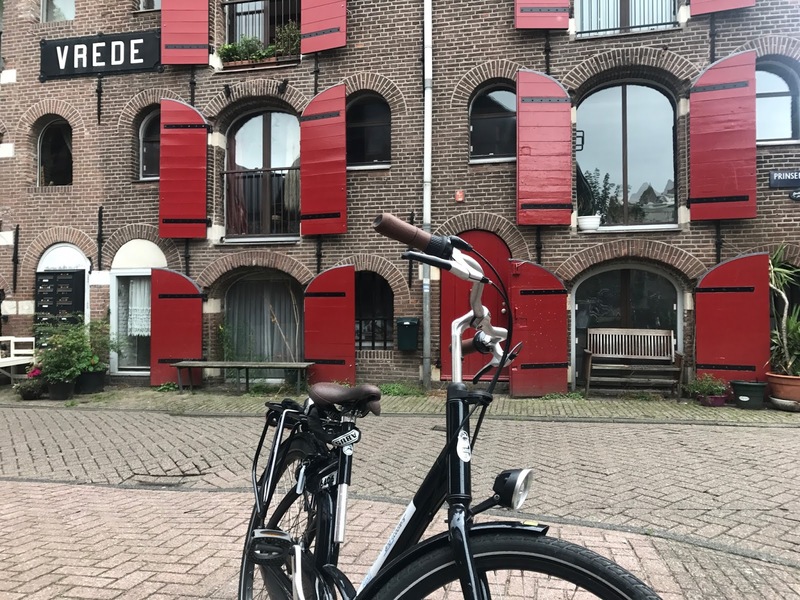 This is as we were booked onto WeBike Amsterdam*'s hidden gems tour - a bike tour of the city discovering some of the not so famous spots, stories and insights with our fantastic guide. As we were running slightly late, Thijs kindly cycled us over to the rest of the group, who were just starting their first stop at West India House. We were really regretting leaving the jackets in the bike shop when the heavens opened shortly after, but luckily it didn't last long and by the time we left the Canal Warehouses, the worst was over. Thank goodness for that! 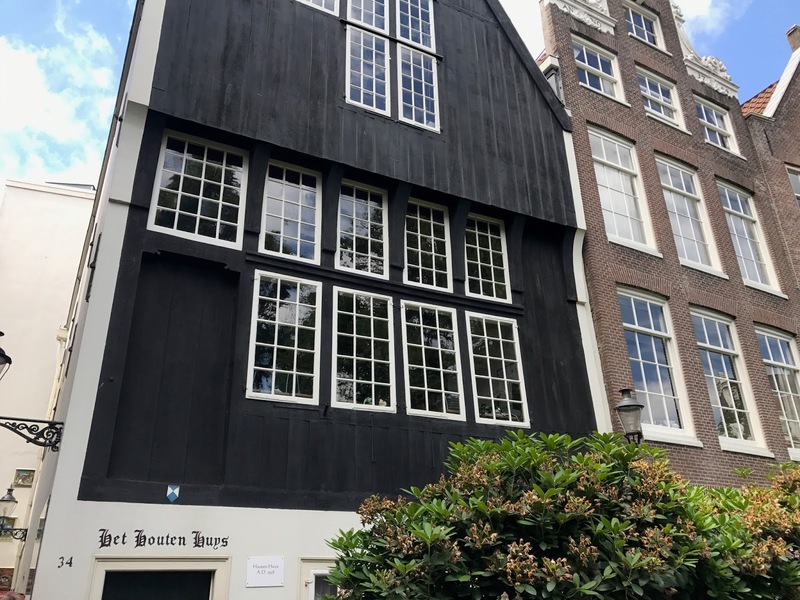 From there we saw former widow's homes where we learnt a fascinating myth about why Amsterdam is called Amsterdam! On top of one of the houses is a painting of two men and a dog in a boat. 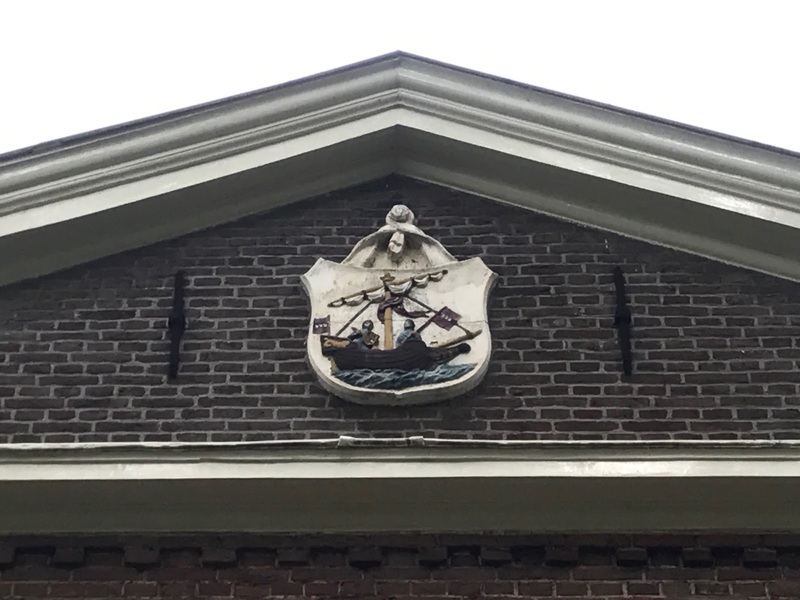 The story goes that the men were caught up in a torrential storm and made a bet that if they ever make it back to land, they will call the place Amsterdam. The dog then swam to shore, and somehow communicated that there were people in trouble. 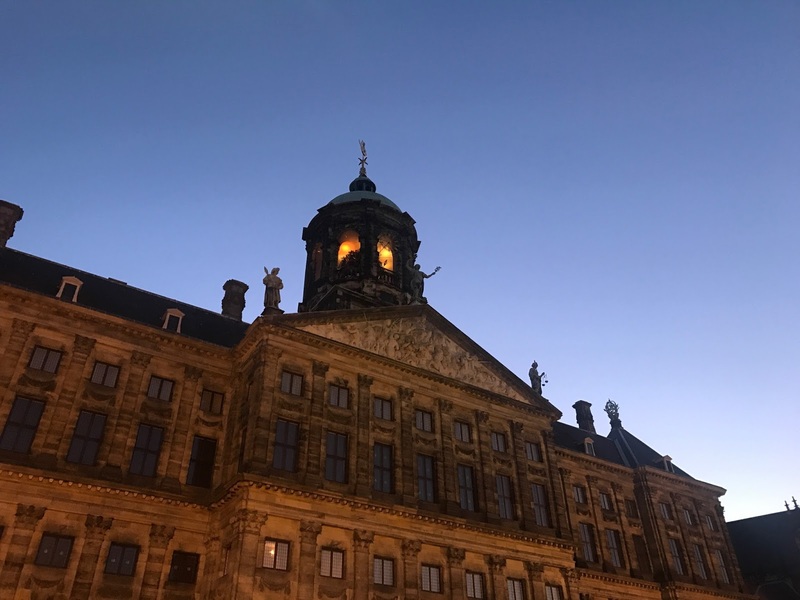 The two men were saved, and there you have it, Amsterdam was born. True? Maybe not, but interesting nonetheless! It's so amazing how a bike tour can let you experience more of a city in the relatively short time you have on tour. This one was 3 hours long, and we covered a lot of different points in the city, a lot of so scenic and to our surprise, pretty relaxing. It's definitely a lot harder being a pedestrian as bikes constantly come flying out of nowhere in this city! If you haven't been, you'll have to visit to know what we mean! Of course, if there was any place to tour on bike it's Amsterdam, but it certainly helps if you have an amazing tour guide like we did today. There was not a gap in knowledge anywhere, all questions answered straight away and the chatting didn't stop at only about Amsterdam. We'd fully recommend WeBike Amsterdam to anyone looking to experience this great feature of Dutch culture. It is only a small company, so please do get out and support them. They really do deserve it! After a quick bite to eat we were straight onto our next location. Again it was booked for a certain time so as you can imagine, we had the whole day pretty much planned out. 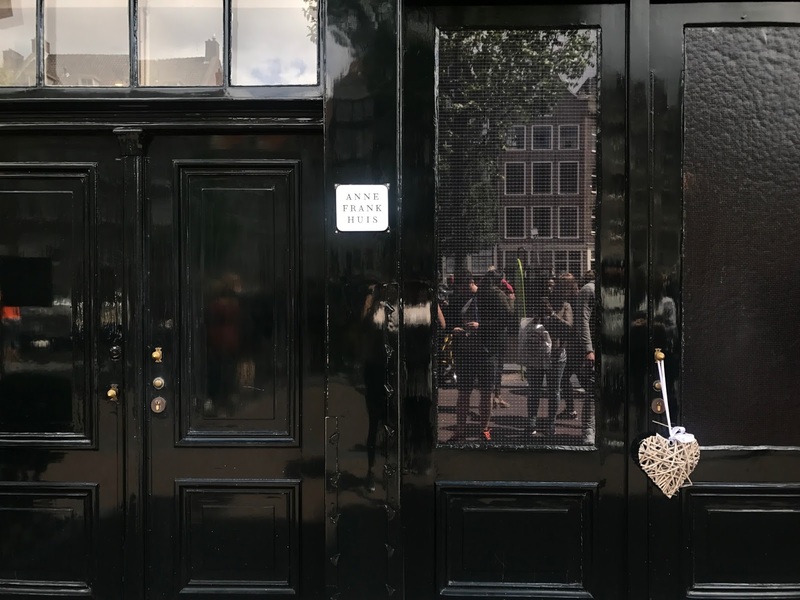 We do this quite a lot when we're away, but today we had no choice because we were now going to the Anne Frank House. Tickets for this are booked month in advance, or non ticket holders can queue for a typical length of 4 hours to get in on the day. We went for the first option! The whole place was gripping and inspiring, and the amazing story was made into the attraction it is today perfectly well. The house still has so many original features that it does make it feel so much more real, and make you almost able to envisage what life may have been like. The guided tapes throughout described everything superbly well, and we both left with complete knowledge of Anne Frank and her family's life during the war. We are often suspect to not reading and finding out everything on offer to us at historical sites or museums, but today had us engrossed from start to finish. 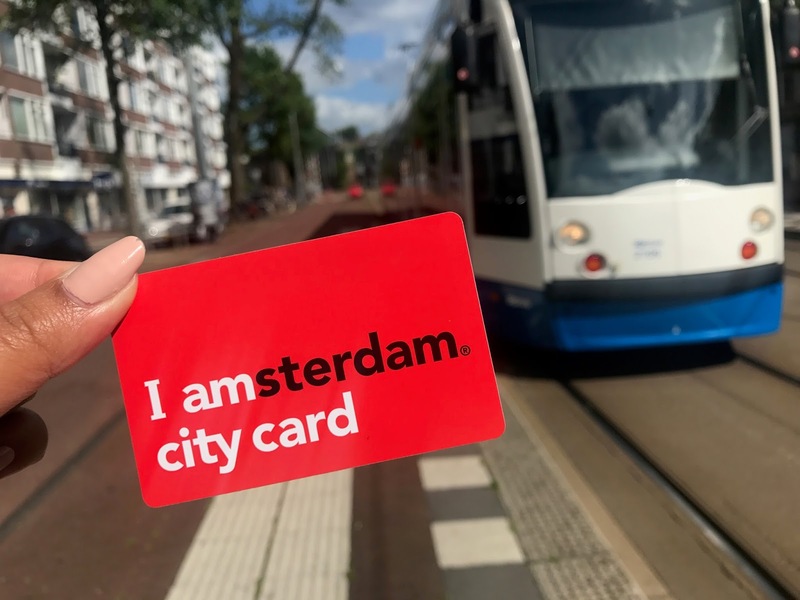 We can easily see why it's so popular and if you are visiting Amsterdam, plan ahead and get this on your agenda. It's simply a great experience. Trams have been a saving grace for us whilst here in Amsterdam. They seem to be able to take us to everywhere we've wanted to go within a short walking distance. The routes and maps are so easy to understand, and now, armed with our city card to get on, we made our way back to the hotel to check in. 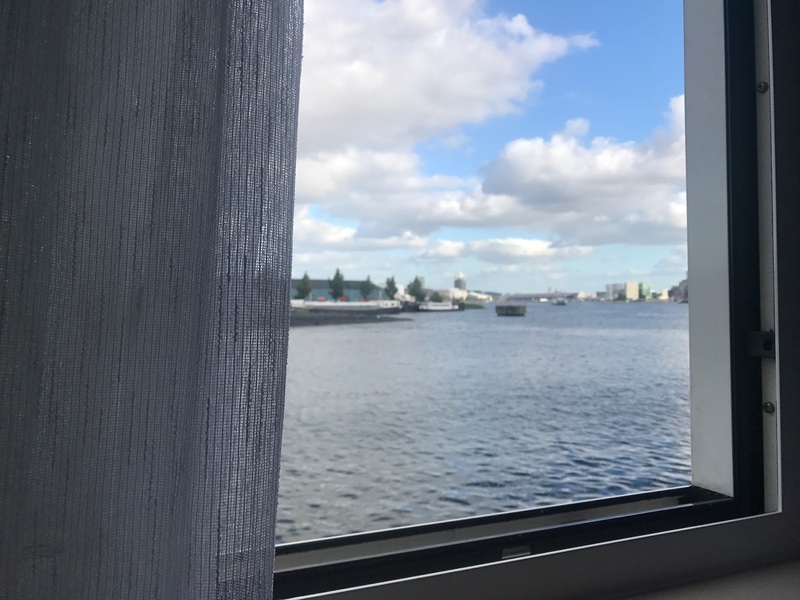 Look at this view we'll be waking up to for the next two days! With only one day in Amsterdam tomorrow, we feel like we have covered most of what we'd like to see now. However we are up early again for a food tour, and I'm sure we'll never be short of something to do following that! Check back tomorrow to see how exactly we conclude our time here. 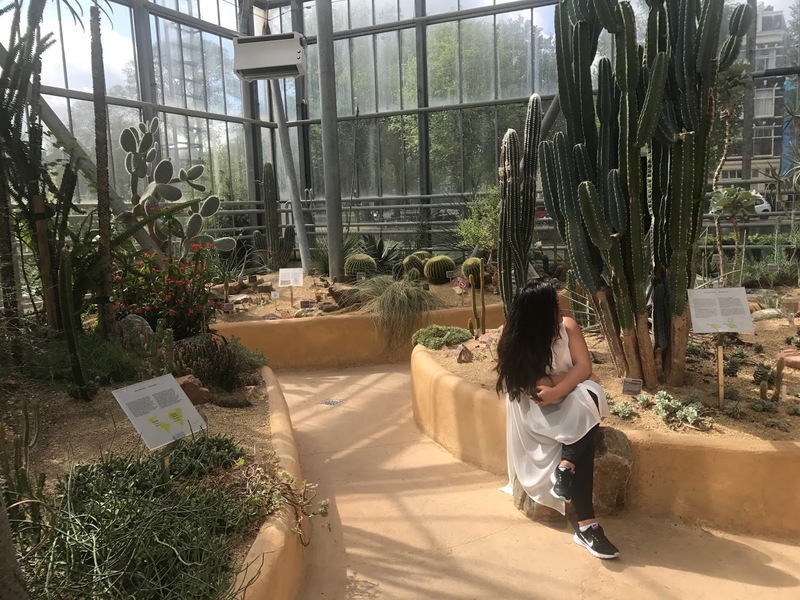 The botanical was so beautiful, so picturesque! Eeep so glad you are! I know it's such a interesting and fun story, we wondered why that too! Wow looks like you had the best time! Believe it or not, when I visited I never rented a bike!!! But we did visit Vondelpark and it was beautiful. I am going to Amsterdam at the end of the month with a friend so this post excited me. I am unsure whether to hire bikes or not but I didn't know that they did tours, so I might have to look into this. Great read! Yes Defo check out the tours, so much better than doing it on your own! Hope you do get to visit one day! It's a place to visit! Hehe thank you so much! Can't wait for you to visit! 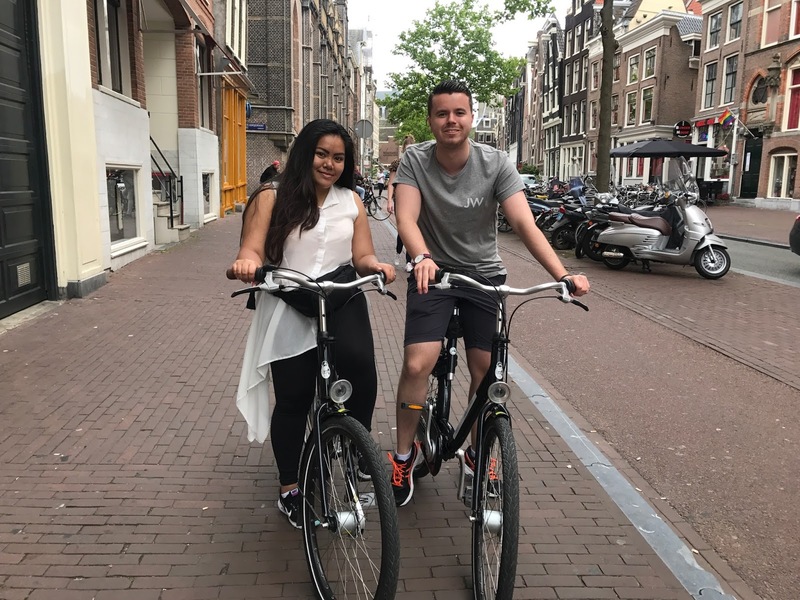 I would absolutely love to take part in a bike tour around Amsterdam! I visited when I was little so I didn't appreciate the city as much as I should have done, so revisiting is on my list of to-do! Would recommend this bike tour for your next visit! A must do! 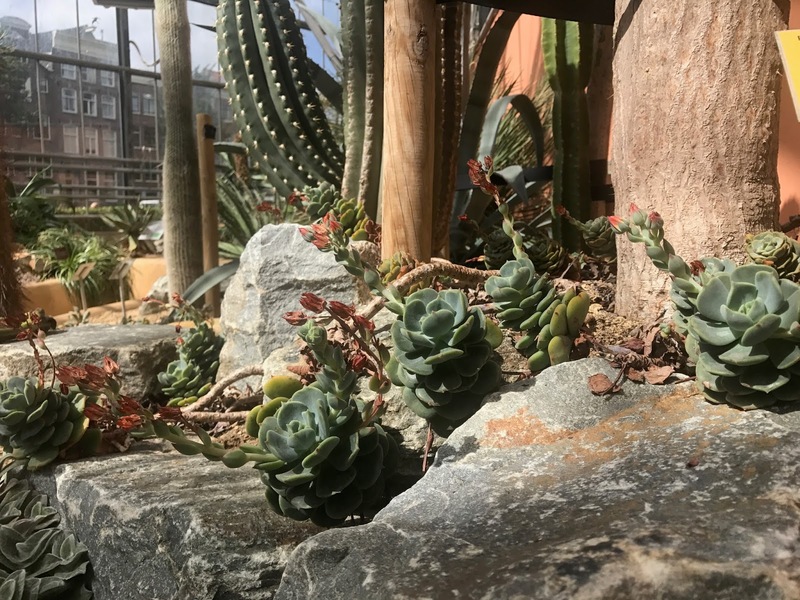 I didn't know there was a botanical garden there. It looks fab. Loving your photos and your bike ride does sound so lovely. Perfect way to see Amsterdam. Glad you do, proud of my botanical ohotos actually! Thank you so much for an amazing tour! We enjoyed it so much and will recommend it to anyone who asks! It was the best day, would highly recommend visiting! The bike tour sounds amazing, I got that from watching your vlog too!! I would definitely do one after your recommendation! I love that you went to the Anne Frank museum too but oh my booking tickets a month in advance!!! It must be so popular!! Couldn't recommend it enough, wish we got some more footage from it though! Anne Frank museum was amazing, we are speechless. A must visit!